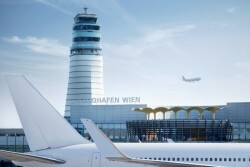 Sales of Vienna International Airport grow, thanks to the increasingly stronger segment of the low-cost carriers. Flyniki is currently achieving even higher growth than Austrian Airlines, said the managing director of the airport, Herbert Kaufmann. Vienna has the advantage, unlike other European airports, of not having closed down to the low-cost airline trend.